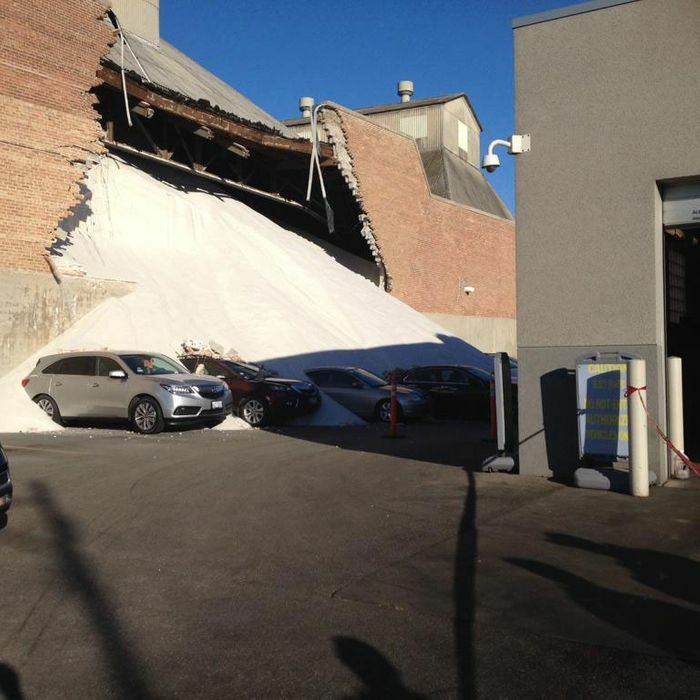 A 50-foot brick wall collapsed this afternoon at a Morton Salt processing plant in West Town, Chicago, leading to a deluge of the company’s signature product flowing into the neighboring car dealership. DNAinfo reporter Paul Biasco tweeted that employees “ran when they started seeing bricks fall.” No one was hurt in the incident, but 11 Acuras, it seems, have been irreparably damaged as a result of their sodium intake. Here are some salty photos from the scene. Maybe they can use that stuff on the roads — Saturday’s forecast calls for snow.